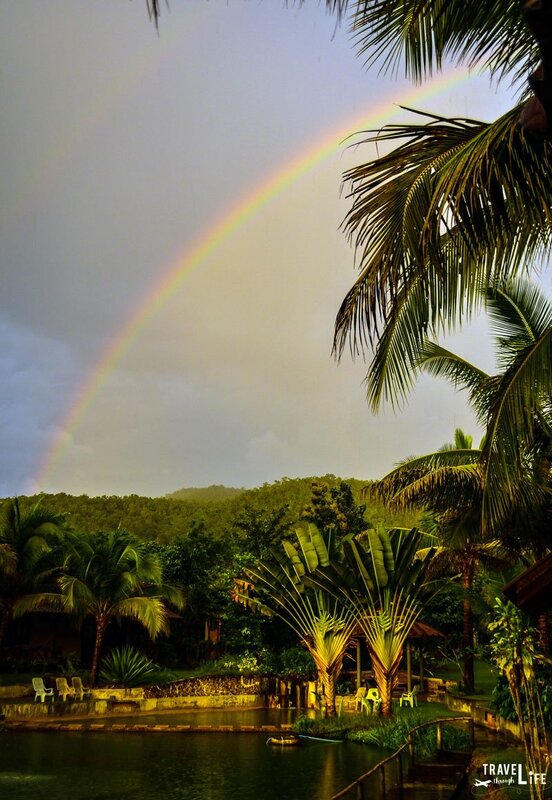 The Pai Travel Guide that Will Convince You to Go! Describing Pai in Northern Thailand as a paradise is beyond cliché but it’s quite a fitting characterization of the place. After struggling with whether or not Bali was worth the trouble, we found ourselves faced with a similar question: is it worth visiting Pai? Because traveling to Pai is one of the most popular things to do in Thailand, I’ll share exactly why you should visit this little slice of heaven. Enter this Pai travel guide and discover your future retirement location, Southeast Asia edition! This Pai travel guide is part of our series on Thailand Travel and Southeast Asia Travel. It was originally created on April 8, 2016. It has been maintained and updated (as of December 27, 2018) to reflect current viewpoints and travel trends. As our van started zipped around the 760-plus curves that it takes to drive to Pai from Chiang Mai as part of the Mae Hong Son Loop, I was worried that we wouldn’t make it there without getting sick. I’m happy to say that we arrived in one piece. In looking back, getting to Pai was clearly the hardest part of our time there. Once we arrived, we saw a fairly small town full of restaurants, bars, and guesthouses. It’s something of a discovery for many Thai people. Even more recently, many Chinese tourists have made their way to Pai thanks to the Chinese movie “Lost in Thailand” being shot nearby. 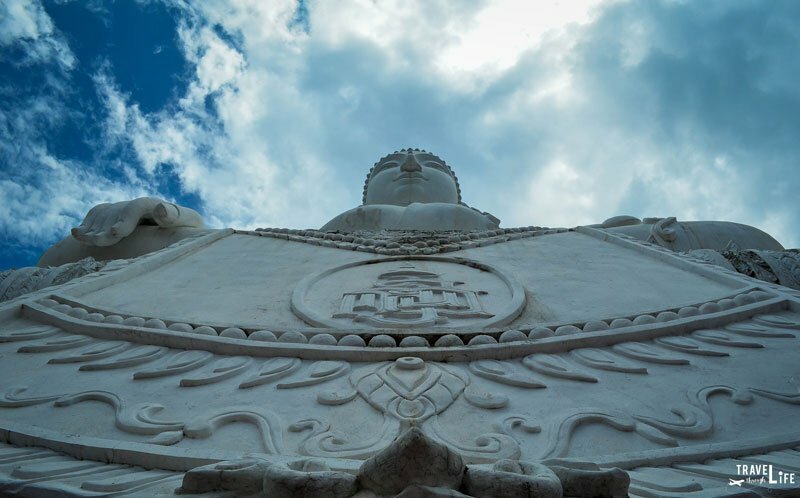 Many people will say that from November on is the best time to visit Pai. If you’re not into crowds, the shoulders around September and January can be a lucrative time to visit. You might find some rain in the latter but the heavy ones mostly came in the afternoon for us. As we do to avoid crowds, get up early and go enjoy Pai before getting back to relax through the rain. There are tons of places to stay in Pai, with some nice looking ones away from town and not far from the center.The busiest season is between October and February and rooms can be hard to find a room in Pai for cheap during that time. We chose a place called Pairadise that had a beautiful view to enjoy our delicious breakfast, as and a small swimming area and a nice spot for watching the rain. Pai has a pretty good food scene and even has tons of western options. My ideal day starts with a hearty breakfast and coffee at Big’s Little Café where the best of Pai’s multiple western breakfast options sits. 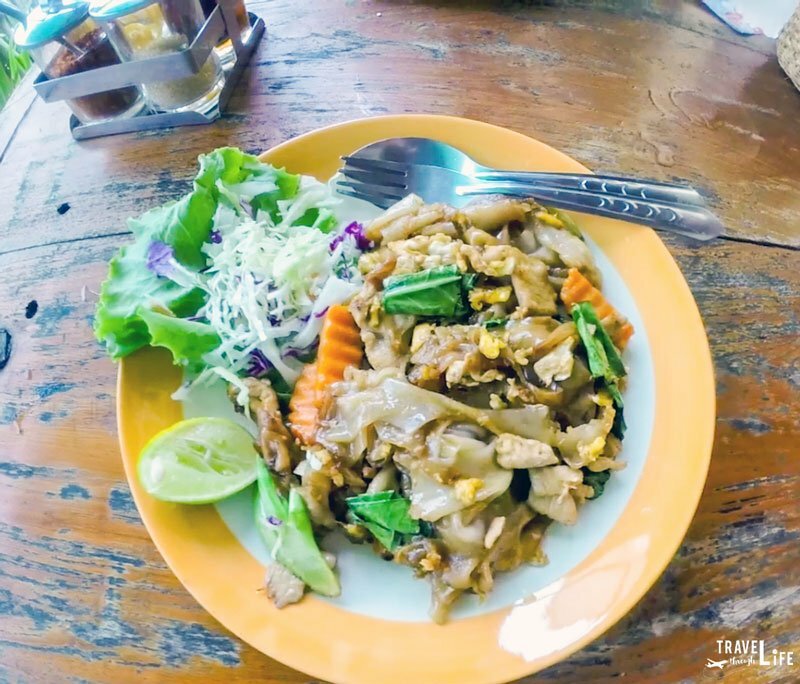 After working that meal off with a ride to somewhere far away, we’d tried to catch a good Thai lunch at Na’s Kitchen before everyone else clogs the place. An afternoon siesta at the hotel precedes a stop at Charlie and Leks for dinner with food so good that one can easily forget it’s healthy. 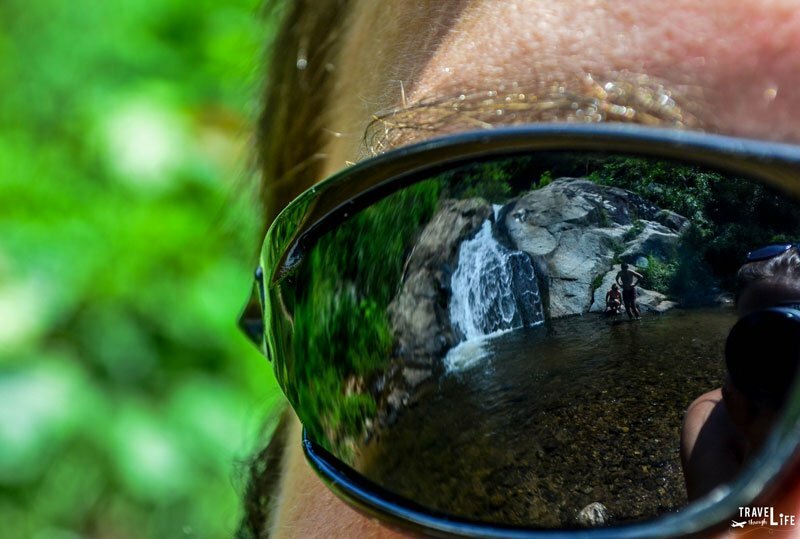 When thinking of things to do in Pai, waterfalls are the first thing that comes to our minds. However, start with a walk up to Wat Pra That Mae Yen’s White Buddha. It’ll give you a great view of one side of Pai. After 295 steps, it’s rewarding to stare up at that temple’s beautiful White Buddha there before looking towards the green valley below. 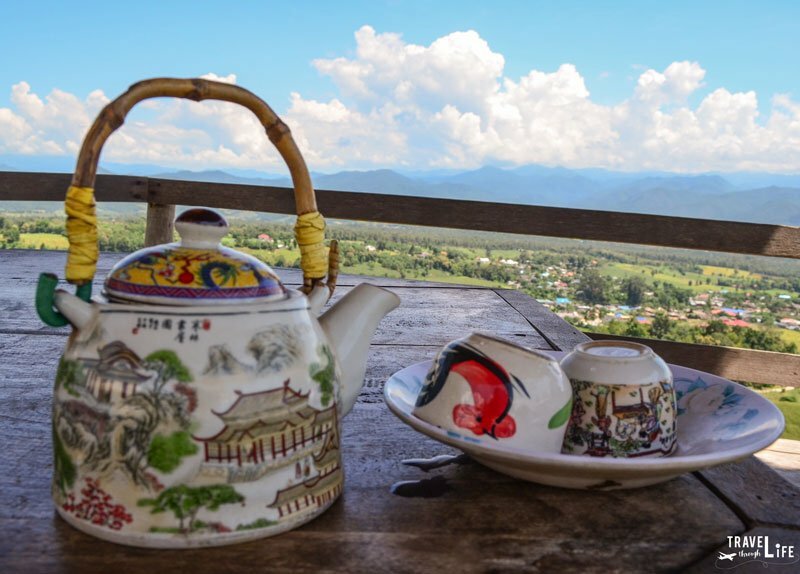 If you head out to the Chinese Village, the Ban Santichon Overlook is the best way to see Pai with a cup of tea at your side. For more fun, the Pai Land Split is evidence that lemonade can be made out of lemons or in the owner’s case, roselle juice and free snacks that he offers for donations. The kind man also offers visitors a shady relaxation spot that’s adjacent to the unexplainable split that ruined his farm some years ago. Pai Canyon brought out my fear of heights but is beautiful and certainly worth the drive. 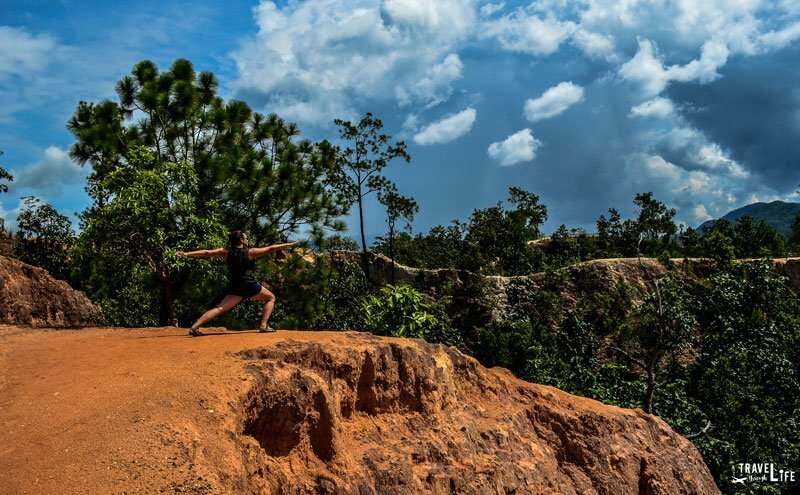 It’s also a great place to work on your yoga poses against a gorgeous background. The Memorial Bridge is a reminder that Imperial Japan once came through and “needed” the area to transport war materials. It’s an interesting relic from a very dark time. However, it still gets packed with tourists throughout the busier times of day, which start mid-morning. 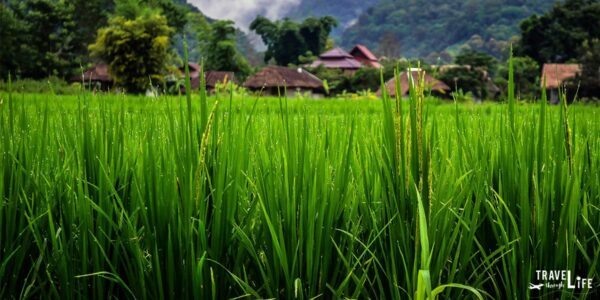 These are two of the most popular things to do in Pai, so arrive as early as you can to avoid the masses! 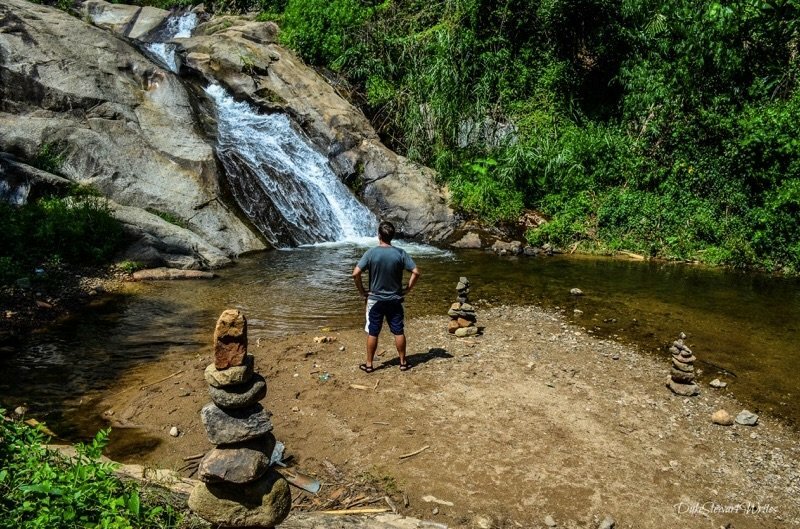 There are quite a few waterfalls in Pai. Mo Paeng is by far the easiest to reach and was nearly deserted when we arrived early one morning. For Pambok, the walk from the entrance and sharp rocks that lead to it are a diversion enough for those who don’t bring proper footwear. The water is also deep enough to get in and have a swim. That’s perfect when the sun keeps getting hotter and hotter in the morning. That’s not the only pretty sight, as I can’t get over the beautiful landscapes surrounding our drives around Pai. As in most places in Southeast Asia, I felt pretty safe but always suggest practicing caution when walking around or if you plan to go out late at night. Also, Bicycle and motorbike rentals loom everywhere but are caution-worthy, thanks to the “scratch fee” that will come if you’ve gone with a less reputable dealer. If one trusts their hotelier, ask them for help in this area. I mistakenly overpaid for the same crummy bike at an expat-run place with all the fancy signs. It’s not just the foreigners who’ll rip you off but my experience is to go for the place with rickety signs. This visit could’ve gone on forever. Christina and I had to get out of Pai or else we would have just continued moving around before eventually buying land here. We’d likely still be there, having bought land and lying in my own hammock. I know Pai hasn’t impressed everyone who’s spent time there but it really jumped out at my wife and me for various reasons. It was special in so many ways and one of the peaks during this trip. 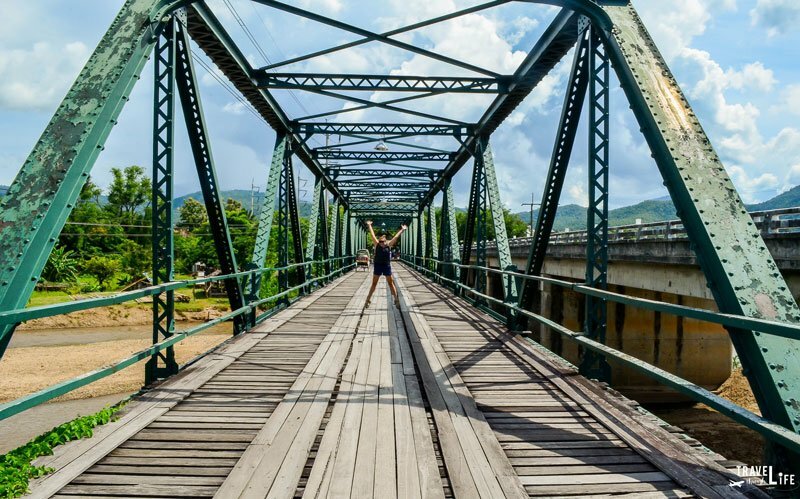 Whether it was the food, the scenery, or everything else in between Pai and Northern Thailand’s atmosphere is exactly what we were searching for and haven’t found since. I agree, Pai is great. I really liked it. However, I much preferred Mae Hong Son. It is not packed with people and is as laid back as Pai. We are visiting Pai in a few days and can’t wait to see how we will like it!! Definitely going to some of the spots you listed. Thanks! I hope you enjoy it! Let me know if you ever write something about that magical place. We were big fans of Pai too! I couldn’t imagine doing the bus there though, I get too sick! Luckily, Scott got us there via motorbike at our own pace and found the drive to be gorgeous and relaxing. Although we visited in the peak of dry season when the falls were all dried up and nothing but a mere water stain. We loved the slow, laid back, backpacker lifestyle there, not to mention the food! Charlie and Lek’s served up one delicious curry after another for us. We also enjoyed the homemade food and health drinks from places like Fat Cat. 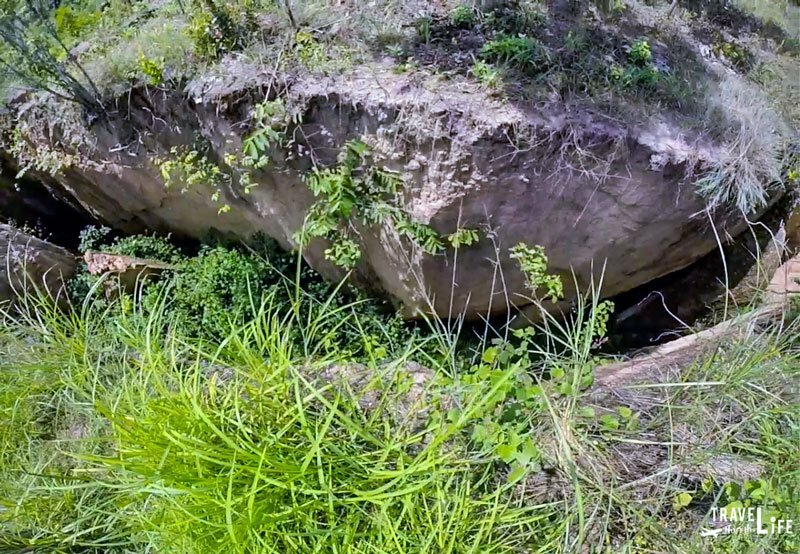 Did you guys visit the Land Crack at all? That was one of our highlights as well, not because of the actual crack but the farmer who owns the land and serves up delicious snacks for visitors for free as well as rosella tea! I thought that might be a nice ride and hopefully you didn’t have too much traffic. Not sure how squeamish you are about motorbikes but my wife gets a bit freaked with too many close encounters coming in Korea and elsewhere, lol. We certainly did visit the Land Crack and loved the juice and snacks:) I could’ve spent all day there, honestly. 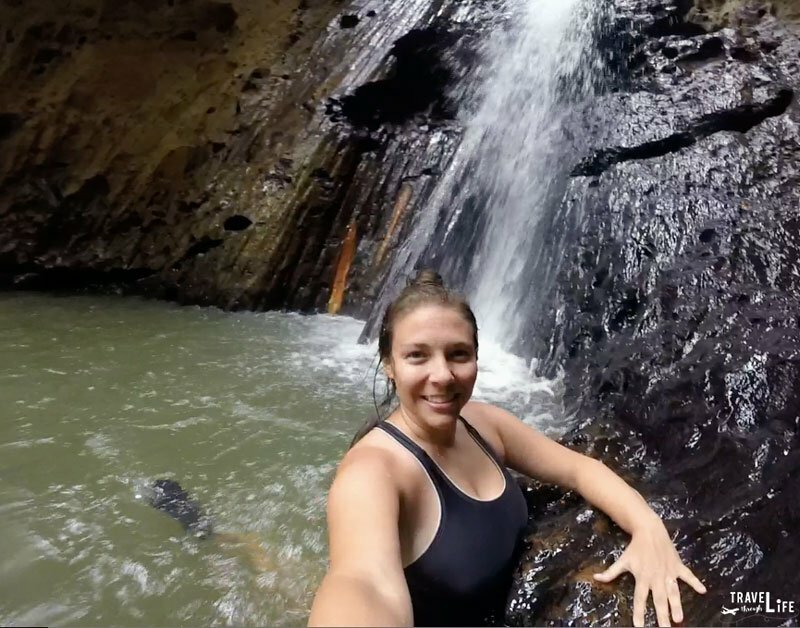 Too bad you didn’t get to enjoy those waterfalls. Hopefully you get to go back someday soon and swim in one or two! Thanks for stopping by, Megan. I always enjoy conversing back and forth with you here. Take care and have a wonderful weekend! Btw, Congrats to you two!